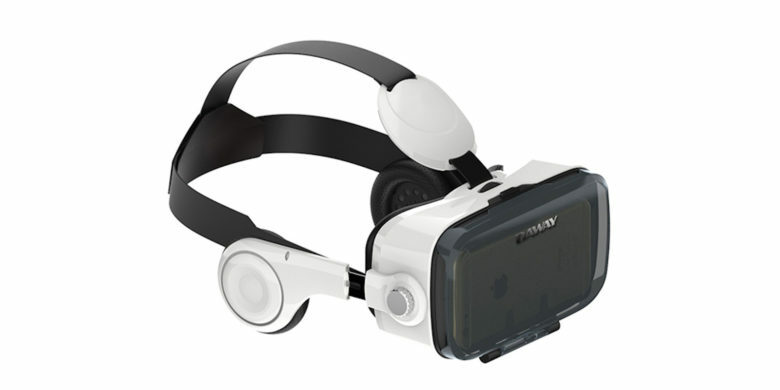 An Apple VR headset like this one might be in development. The rumors of an Apple virtual reality headset just got a boost. The company hired the developer of a VR painting application. An app that can’t run on any device Apple currently offers. It’s not easy to see why Apple would need the talents of the creator of Cyber Paint if it’s not prepping some kind of VR hardware. Crispin’s app works on Facebook’s Oculus Go and a handful of other VR headsets. But it seems unlikely Apple hired him to create software for platforms it doesn’t own. Especially as rumors of an Apple VR headset have been circulating for some time. Some details of this unannounced device have already leaked out. It will supposedly pack an 8K display for each eye. And it reportedly won’t need to be connected to a Mac, iPad, or iPhone. But don’t get out your wallet yet. This product isn’t expected until 2020. That will certainly give Crispin plenty of time to write more VR apps. And he’ll have plenty of help. Rumors indicate hundreds of Apple employees are working on virtual realtiy and augmented reality devices. That said, CEO Tim Cook shows more enthusiasm for AR’s future more than VR. So it’s possible the rumored Apple VR headset will never get off the drawing board.